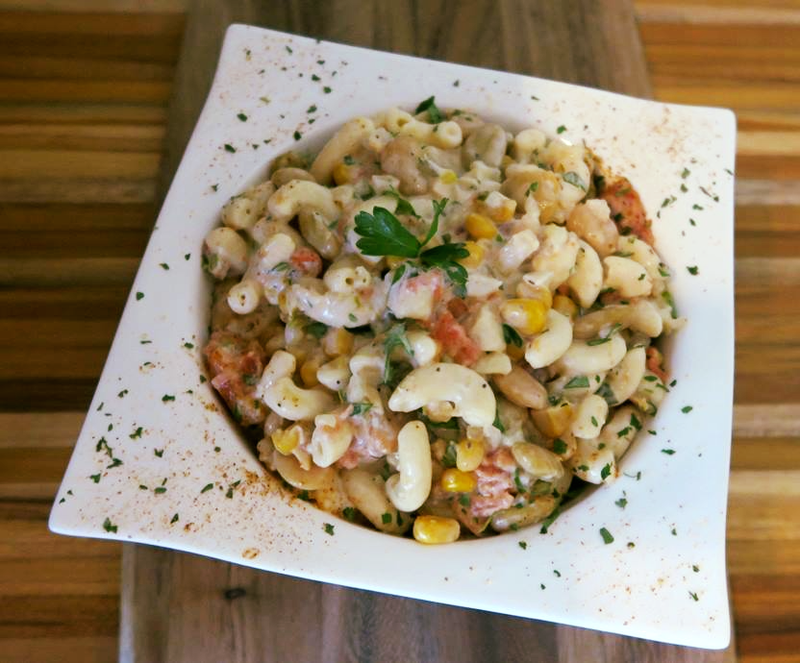 This flavorful and colorful Macaroni Salad will leave you speechless. 1. Boil macaroni according to box directions; drain and return to pot. 2. In a medium bowl, whisk together the sour cream, mayonnaise, vinegar, dry mustard and sugar. 3. Pour over macaroni and mix well. 4. Stir in parsley, red onion and triple succotash. 6. Before serving, add bacon bits, if using, and sprinkle with vegetable seasoning.